The top of Mt Kenashi the highest peak in Nozawa Onsen makes for some beautiful views. Also a great connection for telecommunications! In Nozawa itself for a small rural village of only 3500 people we have amazing internet better than some major cities around the world. The whole town is wired with Hikari Optic Fibre Internet the company Flets is now offering speeds of up to 1gb but generally we were getting about 300mbs speeds around town. For a Village that is centuries old we have some very fast internet! 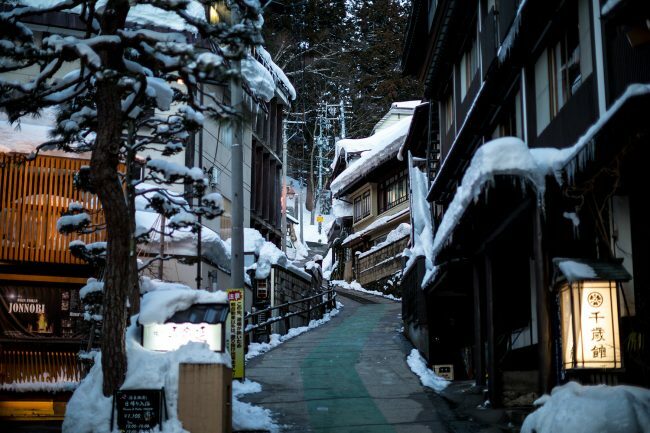 Wifi Internet Nozawa Onsen Japan – Free Sim Cards! Great news for anyone that wants to stay in touch when coming up to Japan this coming season, it appears that Docomo Japan’s biggest Mobile phone network is giving away free sim cards for people travelling in Japan. Docomo has the best coverage of any of the phone networks in Japan so you can get coverage all over the mountain in Nozawa Onsen. The Free deal means you have to sit thru a few adverts but for just a small fee you can go ad free and get a faster connection. 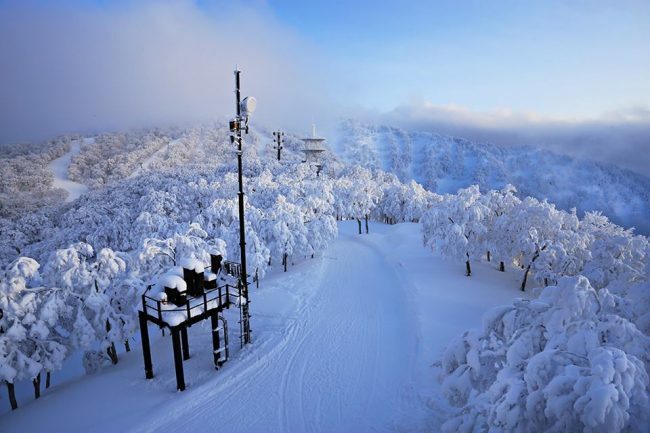 The Nozawa Ski Resort has also installed free wifi at the base and top of the main Nagasaka Gondola which is perfect if want to try and catch up with friends while on the slopes as you can send a message when go thru the stations and they can check it when they hit the top or bottom and arrange a rendezvous. Can even upload a few of your photos of you shredding the powder on your last run! The local council has had a big push to get as many lodges in the village internet friendly and almost all lodgings are now connected to the super fast network. They also had a second initiative where they were setting up Wifi Networks for free inside the lodges. 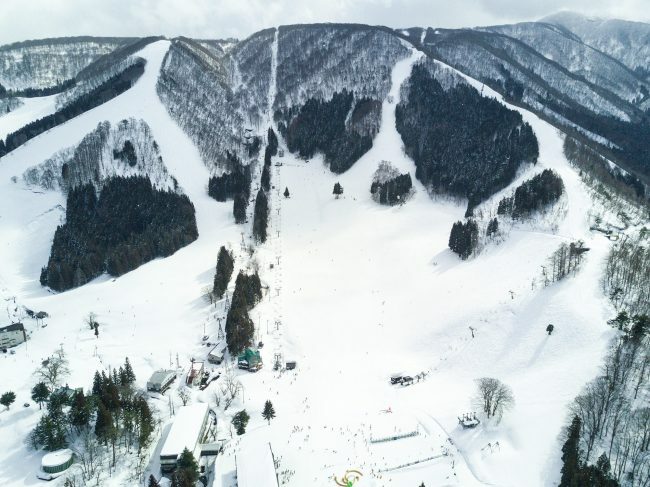 Although many of the lodge owners are not so tech savvy they have jumped on this initiative and now you can stay connected at most lodges in Nozawa. Many restaurants and Cafes also offer free wifi while you have a bite or grab a bowl of noodles now too. So don’t be too concerned about keeping up with your friends at home and their latest conquests on facebook or for better or worse keep in touch with work while on the slopes!